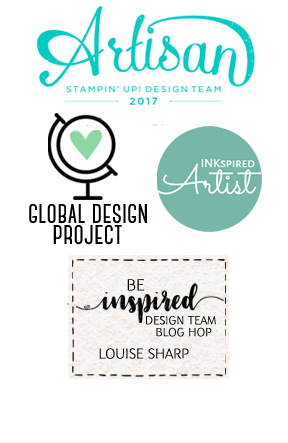 Welcome to the Be Inspired Design Team Blog Hop. You may have just arrived here from my beautiful friend Sarah Berry from the UK. 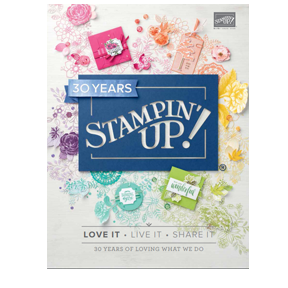 The theme for this hop is 'Be Inspired by the 2017-2019 In Colors' and the team have some stunning projects that I know you will be inspired by! If you are starting here please make sure you hit the next button at the bottom of this post and hop all the way around. Who else is getting excited for Christmas? 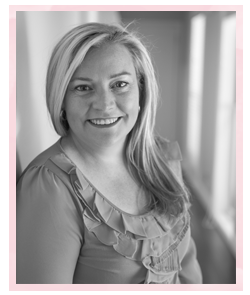 In Australia at the moment we are enjoying the beginning of Spring which means the weather it's is warming up, the birds are singing, the skies are blue, flowers are starting to bloom and I know this means Christmas is just around the corner! I ALWAYS tell myself I will be ready for Christmas early....and without fail I'm never ready, so this year I have resigned myself to the reality that I will do the best I can and it's ok if I'm not completely ready...the world will continue to spin, right?! 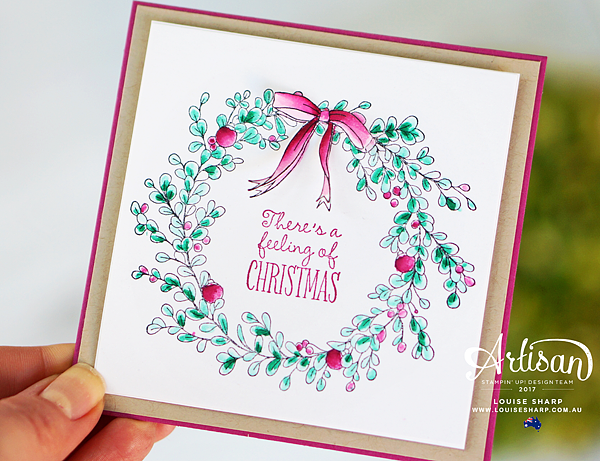 Today's card is quick, simple, doesn't use a lot of supplies and perfect for making a lot of Christmas cards. 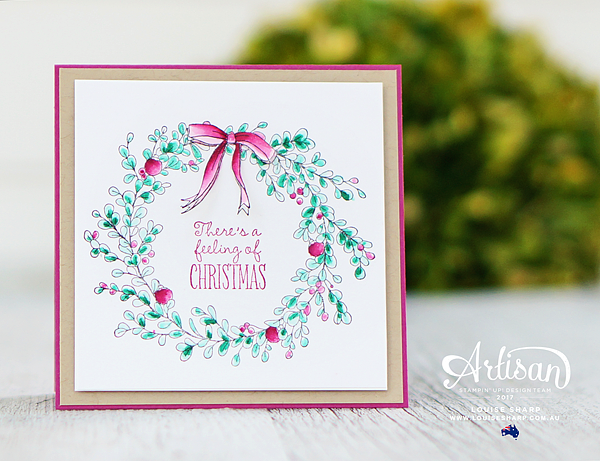 Let the beautiful wreath from Feeling of Christmas stamp set from page 16 of the Holiday Catalogue do all the work!